Las Vegas, Nev. – On Wednesday, April 16, Ultimate Fighting Championship® (UFC®) fans will get their fill of the UFC’s long-running reality series, The Ultimate Fighter®, as FOX Sports 1 showcases the season-ending The Ultimate Fighter Nations Finale live from Quebec City, followed by the two-hour premiere of the hotly anticipated 19th season headlined by former lightweight champion Frankie Edgar and two-division champion BJ Penn. In the 19th edition of the series, 16 middleweight (185 lbs.) and 16 light heavyweight (205 lbs.) fighters will square off in the most challenging sports tournament on television. The premiere episode will determine the eight men from each division who will successfully move into The Ultimate Fighter house and compete for a Harley-Davidson motorcycle and a six-figure contract with the UFC. 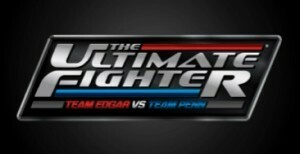 See this season’s newly released promos featuring Frankie Edgar, BJ Penn and the latest cast of Ultimate Fighters. The successful fighters will be divided into two teams, coached by Edgar and Penn respectively. The series will follow the teams as they live and train together in preparation for their fights. Then, both coaches will settle their score once and for all at the Mandalay Bay Events Center in Las Vegas on Sunday, July 6, in the main event of The Ultimate Fighter 19 Finale. “Frankie Edgar is a guy who many believed should have fought at 145 pounds but fought at 155 pounds and beat everybody including BJ Penn – twice,” said UFC president Dana White. “This kid went from being a one-dimensional wrestler to having some of the best hands, knockouts and toe-to-toe wars.